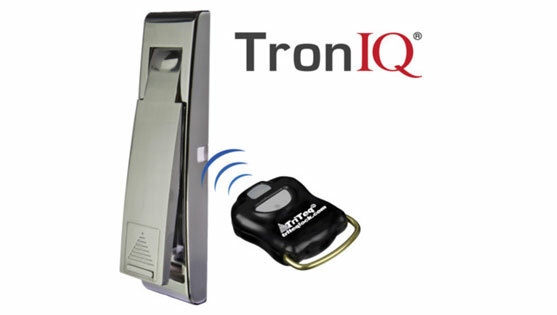 TronIQ is the smart choice for taking control of your business. Simply push a button to open the lock. Once the AutoTraq key is activated, the key collects and stores the lock access history. TronIQ puts you in control of who gets in what machines and when. Lost key – no problem. The key will expire or can be disabled. No need to change the locks. The cylinder is eliminated so lost key change-outs and cylinder swap fraud are things of the past. Customize your settings by user. You don`t have to worry anymore about someone else having your key code. TriTeq provides each customer unique key codes that cannot be duplicated. The low battery reminder provides additional peace on mind. This item is covered by TriTeq`s Return Policy.